A gem in the heart of the city of Spartanburg, the Hatcher Garden & Woodland Preserve has just begun its second quarter-century as a free public botanical space dedicated to providing a refuge for both quiet contemplation and active living. Hatcher's mission is to provide a place where the garden's 35,000 visitors each year can come for inspiration, enjoyment and education through the study of nature. The garden's beginnings were much more humble than the 10 acres of woodland, ponds, streams and carefully maintained plant specimens in today's Hatcher Garden. It's hard to believe that the space with its water features, towering trees, native plants, specimen conifer garden and structures that invite people to linger and enjoy was once eroded ravines and depleted cotton fields. It began in 1969 as a private backyard garden created by Harold and Josephine Hatcher who had come to Spartanburg after retiring to be close to their daughter, Alice, and her husband Don, both college professors. The Hatchers' dream began small, but they came to believe that they could create a public greenspace out of land adjacent to their home just off Reidville Road, one of the busiest streets in the city. Over the years they worked to cultivate and expand their garden, welcoming the public into their ample backyard. Alice Hatcher Henderson, the daughter who taught at the University of South Carolina Upstate, and still lives in Spartanburg, remembers the joy her parents reaped from the hard work that it took to create their garden on a limited retirement income, and she knows they would be proud of what their garden has become. They would not be able to believe their eyes, says Henderson, who serves as an honorary trustee on Hatcher's board. They had seen former projects of theirs in Illinois, New York and Indiana go downhill after they moved, so they had no expectation that Spartanburg would be completely opposite and achieve such inspiring improvement after their deaths. It is a testament to the community that the Hatchers did not have to build their garden alone. From the beginning, they enlisted the help of friends and local garden enthusiasts to help them realize their dream. As the garden continued to grow through the 1970s, members of the Spartanburg Men's Garden Club, the Spartanburg Garden Club Council, Spartanburg Community College and the Unitarian Universalist Church became intrigued with the Hatchers' vision for their garden and began to volunteer their time and resources to support the garden's development. The Hatchers' work continued into the 1980s, and in 1987, when he was almost 80 years old, Harold Hatcher decided to give the garden more permanent protection by donating the property to the Spartanburg County Foundation. Ownership was transferred, a board established, and 501(c)(3) non-profit status acquired, thus assuring the garden's continuity. At that time, the garden was officially given the name Hatcher Garden & Woodland Preserve with the Hatchers' blessings. For the past 25 years, Hatcher Garden & Woodland Preserve has operated as a non-profit, free public garden, open every day during daylight hours. The staff and board of Hatcher Garden have as their goal to preserve, protect and sustain the garden for the benefit of the entire community and region. 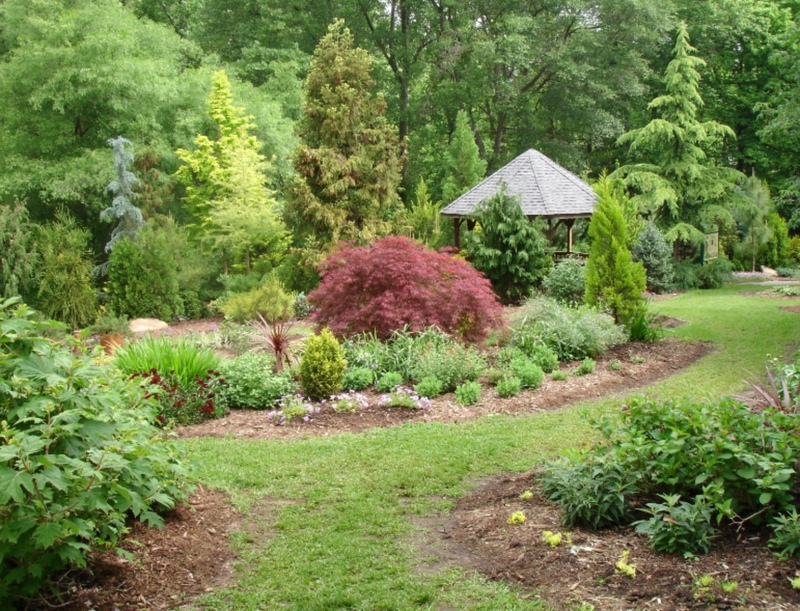 The woodland garden includes numerous separate garden rooms and a half-mile of paved paths. The Bartram Trail contains a selection of plants that William Bartram, America's first native-born naturalist, first noted on his travels through the Southeast during the 18th century. A hosta garden, butterfly garden, wildflower garden and Water Wise Garden complement the large trees and established camellia and azalea plants that Harold Hatcher planted and loved. The garden is truly a gift from the community to the community a garden that welcomes everyone into the nurturing and healing space. In 2005 Hatcher Garden began an extensive storm water management project for its pond system. The goal was to capture water through rainfall and runoff. The project included a bio-pond to handle storm water runoff from a major highway, four main closed recirculating ponds and a holding pond that accommodates up to 100,000 gallons of storm runoff. One of the perennial beds was destroyed during this process. This was the beginning of the conifer collection, something the Garden had wanted to educate the public that conifers can thrive here in the South. 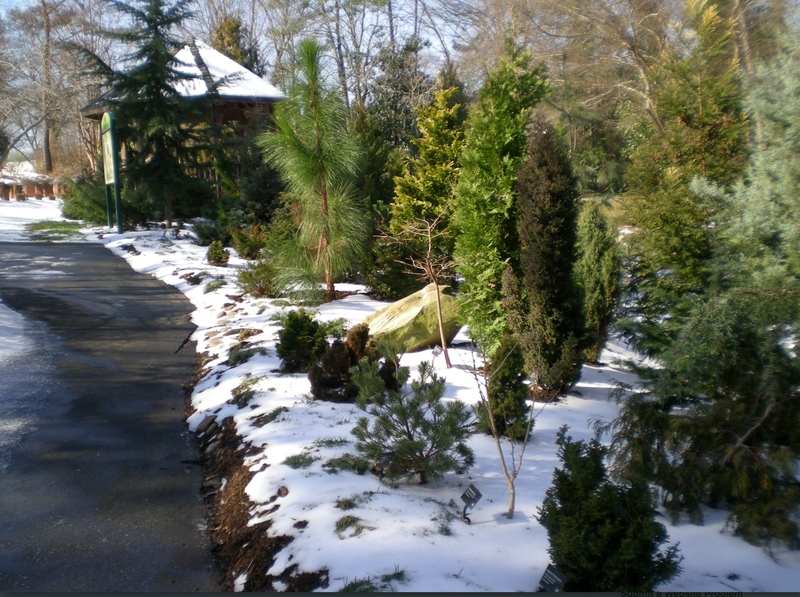 In the spring of 2006, 182 conifers were planted in the old perennial bed. Some of the conifers died from heat and drought and some were later moved to other parts of the garden. The Conifer Collection is located around the gazebo near the entrance to the garden and extends from the paved footpath to the fountain in the upper pond. In 2013 there are 109 conifers in the collection with 16 genera and 40 species, including pines, spruces, junipers, cedars, cypresses and sequoias, as well as some deciduous plants and shrubs such as the bald cypress and gingko biloba. The collection shows off the wide range of colors, shapes and structure available in the conifer family. Conifers at the Hatcher provide year round interest with their array of colors and textures and, as such, can make a great impact in Southern landscaping.